Prominent & Leading Manufacturer from Mumbai, we offer heat protective hood, heat protective apron and heat protective coat. 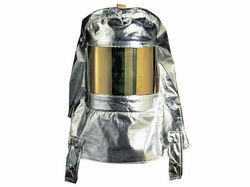 Clients can avail from us a wide assortment of Heat Protective Hood. 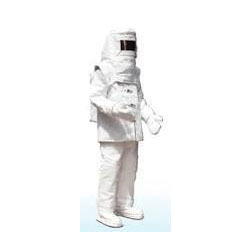 Our offered Heat Protective Hood made up of quality assured material & leading edge technology. This heat protective hood is provided with different stipulations & different sizes. Along with that, we provide this heat protective hood to our dear customers at pocket friendly rates. With the help of our professionals, we have been able to offer our clients Heat Protective Apron. 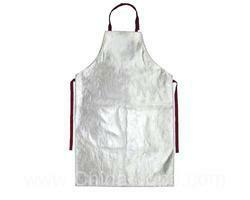 The offered heat protective apron is obtainable in diverse sizes to cater to the specified details of customers. Also, this heat protective apron is manufactured with quality assured material and cutting edge technology in compliance with market prevalent norms. By keeping track of latest market development, we are engaged in offering Heat Protective Coat. This heat protective coat is manufactured by talented professionals who use top notch quality of materials according to the current technological advancement. To provide the best product range, whole range of heat protective coat is examined on previously specified provisions of quality. Looking for Heat Protective Products ?